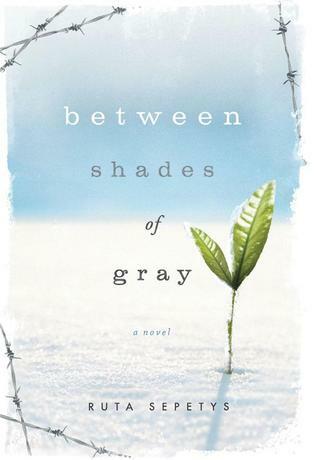 Title: Between shades of gray. 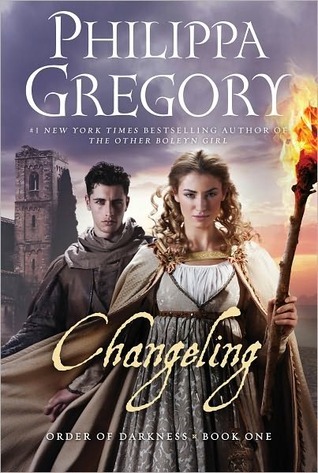 This book has a new cover now, but I love this one. The colors and the simplicity really fits the story, so I'm going to keep this one. This is a very impressive story. It shows how cruel people can be towards each other. The suffer we can give to another person, simply because they had the power to do so. I also loved this girl, Lina. She is a Lithuanian girl with a happy life, until she is forced to work in a labor camp in Siberia. She is separated from her father and she takes a great risk: she draws pictures, hoping that she can talk to her father that way. The fact that Lina does something like that, shows how strong and brave she really is. She kept going on, when a lot of other people would have given up. The story also shows how 'looks can be deceiving'. When a woman gets a lot of privilege, everybody expects her to be a traitor. But then you discover what she must do and the reason why she does it. Heartbreaking. That's the power of this book. The complex characters, the way the past and present melt together and the harsh reality. Expected publication: February 19th 2013. Sort: Part one of Mind Games. 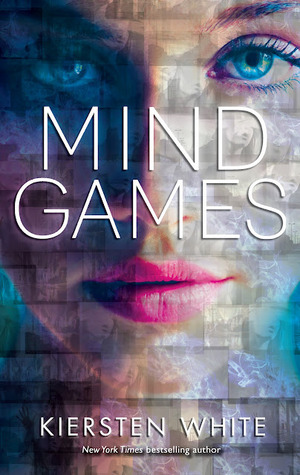 In a world where psychics and mind-readers are the ultimate tools in corporate espionage, two teen girls try to save themselves and their future. 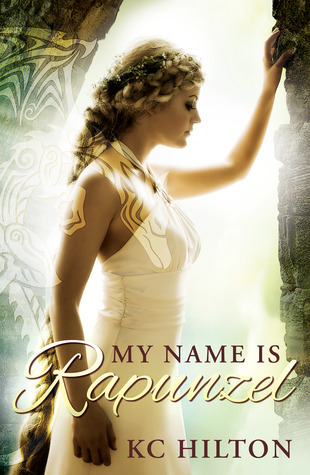 Title: My name is Rapunzel. 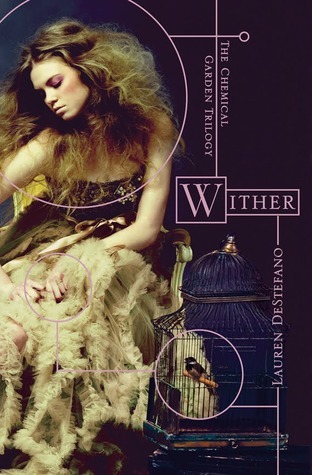 I really like Kiersten White's writing style, so I'm looking forward to read something new from her. So, link me up with your pick(s)! My love for covers did it again: tricking me into reading a book, but it's a shame that I liked the cover more than the inside. "It's not you who is dead," she said. "Mom and dad are and they would want you to live." Kate decides to go to a café to read a book - something I liked about her - when she notices a very handsome boy. After meeting him again, she can't stop thinking about him. Yes, there comes the instant love. A gorgeous face is all it takes. This boy, called Vincent, keeps popping up everywhere Kate is. When she finally has the chance to talk to him, he asks her out. At some point, he acts really strange and that's when they stop seeing each other for a long time. When Kate discovers something that she doesn't understand, she visits him at his house and things only get more complicated. Vincent is not just a pretty boy, no, he is a Revenant. He dies to save the life of others, but there are also the Numa: a group of people who take lives in order to have their immunity. There is a battle going on between them and Kate is about to find out what it means to have an undead boyfriend with an enemy. -Jules. He is one of the Revenants and he is so funny. He is a real womanizer and I liked him from the first moment I met him. -The setting. You know, in real life, I don't like Paris. At all. But there is something magical about the Paris in books. -The Revenants. I thought it was quite original. They are some sort of zombies, without all the craving for human flesh. -Georgia. She is the opposite of me in most of the things she does, so I think that is was I liked about her. She has a lot of friends, she is easy with new people, she has connections everywhere and she is really protective towards Kate. -When you think about the story, it's actually pretty boring. It's all about Kate's love for Vincent, even when she pushes him away and her sadness because of her parent's dead. There is only some real story in the end of the book, but that wasn't enough to get me really entertained. -The way everything seems to go perfect. Kate falls in love with Vincent right away and of course: he is attracted to her too. When Vincent takes over in Kate's body (when his body is down in hibernation, his spirit is free to move out of the body), everything ends well, while most people would become crazy. Their brains can't handle it, but Kate is one of a kind.. Yeah, right. And she can hear his voice when he is in his ghost appearance: and that's super rare. Kate was alright. The story was a bit too boring for me, but I will give the next one a try, because I heard so many great things about it. "That's what I've started to learn about this world. It might give, but it always takes away." Gabry lives a quiet life, secure in her town next to the sea and behind the Barrier. She's content to let her friends dream of the Dark City up the coast while she watches from the top of her lighthouse. Home is all she's ever known and, and all she needs for happiness. But life after the Return is never safe and there are threats even the Barrier can't hold back. Gabry's mother thought she left her secrets behind in the Forest of Hands and Teeth, but, like the dead in their world, secrets don't stay buried. And now, Gabry's world is crumbling. One night beyond the Barrier.. One boy Gabry's known forever and one veiled in mystery.. One reckless moment, and half of Gabry's generation is dead, the other half imprisoned.Now Gabry knows only one thing: if she has any hope of a future, she must face the forest of her mother's past. Again, an amazing book. This story tells about Mary's daughter, Gabry (short for Gabrielle). They live in the lighthouse near Vista. Gabry is in love with Catcher, the brother of her best friend Cassie. One night, they decide to go over the walls and that will ruin their lives. I loved how Gabry struggled with her feelings. 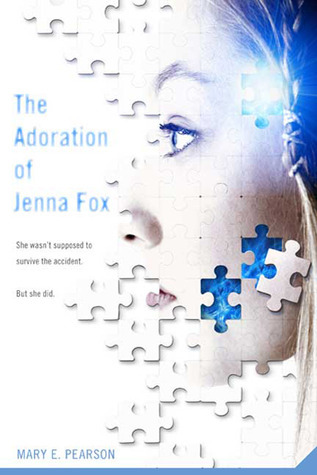 She is torn between living a save life and her love for Catcher. Her life get's a total different spin when she meets Elias and finds out about the secret her mother kept away from her for years. Catcher is a great character, I loved everything about him. From his sweet feelings towards Gabry to the fact that he resists his feelings to keep her save. Even in the end, when it's clear that Gabry left him for Elias, he is there to support her. The only thing I didn't really like was the fact that Gabry is so busy with boys in a world filled with dead and fear. She is sometimes a bit of a whiner, but I also understood her feelings very well. Imagine that your world starts to crumble away, because everybody you love change. I'm really looking forward to read the next book, so I can find out all the pieces of this puzzle :) And the writing is magnificent. "Sometimes it's those things you can't touch that you need to hold on the most." Sort: Part one of The Chemical Garden. The concept of this book is a society in which girls are forced into polygamous marriages. The older generations are losing their young children because of a virus. A long time ago, someone invented a cure for sickness, so everybody becomes older and older.. But now it takes a turn and it makes the children die younger. Girls age till 20 years, boys become 25. The only solution; making more babies and finding a cure. That’s how we meet Rhine. She is kidnapped and sold as a bride to Linden. There is only one thing she wants: escaping. Gabriel, one of Linden’s servants, wants to help her. Will she find a way to escape this polygamous marriages? Can she escape her creepy father-in-law, who has a lot of bodies in the basement in his attempt to finding the antidote? I felt sad for the girls in this book, even though Cecily was a very annoying character. I never felt the real love from Linden towards Rhine. He was more of a victim, but I don’t feel any pity for him. I'm looking forward to read more about this. Liesl lives in a tiny attic bedroom, locked away by her cruel stepmother. Her only friends are the shadows and the mice—until one night a ghost appears from the darkness. It is Po, who comes from the Other Side. Both Liesl and Po are lonely, but together they are less alone. That same night, an alchemist's apprentice, Will, bungles an important delivery. He accidentally switches a box containing the most powerful magic in the world with one containing something decidedly less remarkable. Will's mistake has tremendous consequences for Liesl and Po, and it draws the three of them together on an extraordinary journey. Liesl has been locked in the attic since her father has fallen ill. After his dead, she gets an uninvited guest: a ghost called Po and his pet Bundle. They are both lonely, so they are developing some sort of friendship. Her father is on 'the other side' and he can't cross. It's up to Liesl to save his soul by taking his ashes to a place with nice memories; their old house. 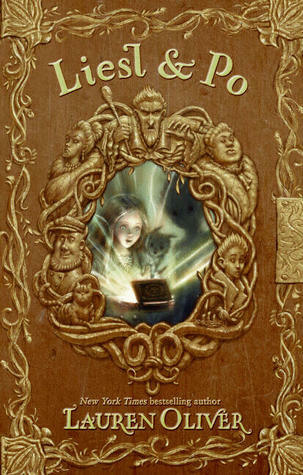 Liesl can escape with the help of Po, but she doesn't know that she takes the most powerful magic in the world with her. A boy called Will, accidentally switched the two boxes and the ash of her father ise now in the hands of another evil woman. Liesl, Po and Will are on an journey and who knows how it's going to end? There are a lot of people chasing the three of them, but there is one character I really liked: Mo. He is a bit simple, but oh so sweet. He is chasing Will, because he wants to give the boy a hat, how cute? He crosses the whole country for it. 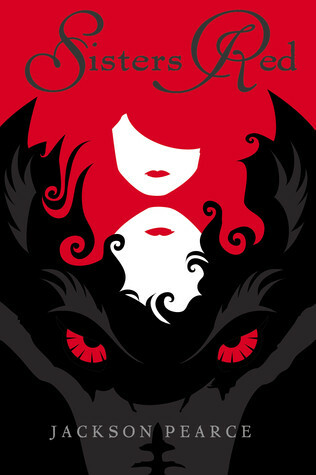 Expected publication: June 12th 2012 by Delacorte Books for Young Readers. Sort: Part one of Lies Beneath. Source: Thanks to Netgalley and the publisher for providing me this e-ARC. Forget sweet little mermaids. And definitely don't picture The little mermaid Ariel when you think about this book. Mermaids are murderous creatures who feed on humans; killing them by taking their energy and emotions away. They have irresistible good looks, they can hypnotize you with their eyes, they can transform into humans they have other tricks to make them even more dangerous. There is only one boy who is trying to resist his urge to kill people and that's Calder. He lives with his three sisters - Maris, Parvati and Tallulah - in the cold waters of Lake Superior. He likes the warm waters better, so whenever he has the chance, he will go away. Unfortunately, he is bound to his sisters by a bond only Maris can break. And if he wants that, he will have to pay a price. Years ago, their mother died because of Tom Hancock. She saved his life and he promised his son Jason as a payment. Right after that, Tom moved away with his family, leaving their mother to suffer. This year, Tom died and Jason returned to his family's homestead. The sisters are planning to kill him, so they can collect the payment. There is only one problem: Jason fears the water, so they have to come up with a plan to lure him into the waters. That's how Calder can get his freedom. He must seduce Hancock's daughter. Only Calder screws up, because he falls for Lily. Can he resist her, so he can get his freedom? Or will he follow his heart? One thing I really liked was the whole new look I got from mermaids. I love the little mermaid and that's how I always saw them. Until now. From the three sisters, Maris must be the scariest one. She is filled with hate and she has no mercy. She wants Jason to suffer, while he is innocent. You have Parvati, who likes to play with her victims before she takes their lives and Talullah; don't get fooled by her innocence. Lily has a great personality. She likes to wear clothes that makes her different; unique. She resists Calder and I appreciated that. It's not that she went all crazy and swoony over his good looks. Instead of that, she admits that he freaks her out and that he is creepy. She is so right! I would be scared in her place. Calder keeps popping up around her and nobody seems to know this guy. I liked how their feelings developed, because Lily wants to learn more about him before she let herself fall in love with him. Calder is a great guy, because he really tries to resist his instincts. He doesn't want to be a monster and I'm glad that he found a way to deal with it. Isn't it great that we have a male POV? I also liked the ending. It was something I didn't expected and it makes me anxious for the next book. I wouldn't say it's a cliff hanger, but it certainly makes you excited! The characters were great, the story line was good, but there were still two things that bothered me. I never felt like I connected with Calder or Lily. We get to look through the eyes of Calder, so Lily her thoughts and feelings are far away. I never felt like I really knew her. It was great that he was the POV, because that's not something we read all the time, but he still felt a little distance. As if he was trying to shield his real thoughts away from me (something mermaids can do, by the way.) Yeah, this was my main dislike. No connection. Besides that, there was something missing.. I can't put my finger on it, but I think you know what I mean. Just the feeling that the story lacks of something important. Just one thing that makes the difference between a good book and a fantastic book. If you like mermaids and you are looking for an original approach, than this is definitely something for you. 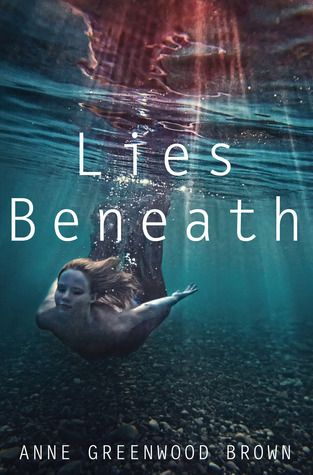 If you're not a fan of mermaids, I don't think that this book will make you fall in love with them. Source: Thanks to the publisher and Netgalley for providing me with a copy! In a future world, Vampires reign. Humans are blood cattle. And one girl will search for the key to save humanity. Allison Sekemoto survives in the Fringe, the outermost circle of a vampire city. By day, she and her crew scavenge for food. By night, any one of them could be eaten. Some days, all that drives Allie is her hatred of them. The vampires who keep humans as blood cattle. Until the night Allie herself is attacked—and given the ultimate choice. Die or become one of the monsters. Faced with her own mortality, Allie becomes what she despises most. 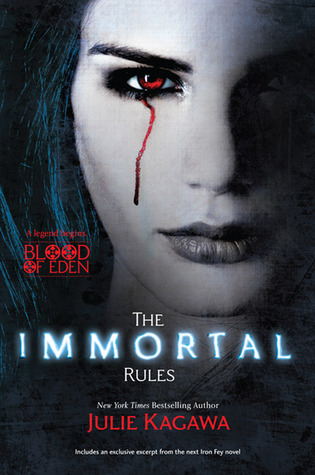 To survive, she must learn the rules of being immortal, including the most important: go long enough without human blood, and you will go mad. Then Allie is forced to flee into the unknown, outside her city walls. There she joins a ragged band of humans who are seeking a legend—a possible cure to the disease that killed off most of humankind and created the rabids, the mindless creatures who threaten humans and vampires alike. But it isn’t easy to pass for human. Especially not around Zeke, who might see past the monster inside her. And Allie soon must decide what—and who—is worth dying for. I don't know where to begin, because I'm afraid that I am going to repeat myself over and over again about how wonderful this book is. 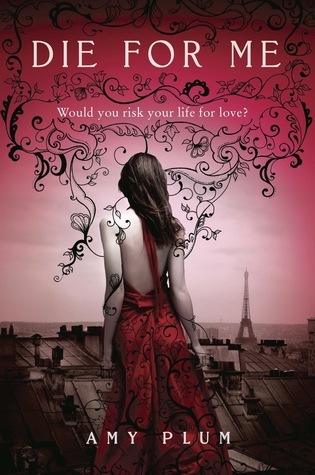 This might be the best vampire book I've read so far and Julie made me fall in love all over again with vampires. Let me tell you more about this amazing story. I'm going to do my best to temper my love. This book is dark. Vampires rule the world in huge cities, which are scattered all around the world. In between, there is nothing else than rabids, so you don't want to leave your city. Allison - also called Allie - lives in one of those huge cities in the Fringe and she is an Unregistered person. Together with Rat, Lucas and Stick (Stephen) she tries to stay alive. Being an Unregistered means that you don't exist, so they don't get food and shelter. On the other hand, they don't have to give their blood on blood day. For tonight for FF number 100 it's do your own feature -- so grab your BBB (Best Blogger Buddy) or Blog You Look Up To to and Feature them! 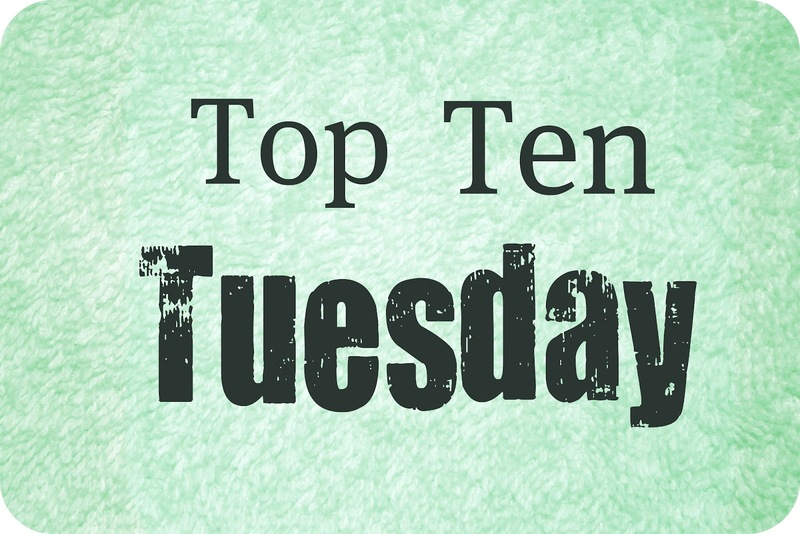 I will feature five of my favourite blogs. These are the ones I visit every day. If you want to see other blogs I like, you can find them at the bottom of my blog. This was one of the first blogs I followed when I started my blog. Giselle is a nice girl and she writes amazing reviews! I wish I could write such reviews. They are informative, but they don't spoil the fun. I always end up adding new books to my Goodreads account (as if my list isn't long enough already :p) I can understand why her blog is so popular. This blog from Vicky is great! She is the host of Showcase sunday, a meme I now participate in, and she has well written reviews. I find a lot of books I would never read without her review, so she is doing a great job with that. She's also a very nice girl and I love her new 'meme'; The Big ‘Saved by Cake’ Bake-Off #1. I love the fact that she includes the book trailers in her reviews! I like to watch them, but I always forget them after reading a review, so it's really helpful that she posts them. 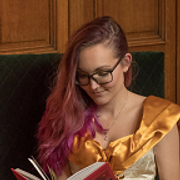 Her reviews are good and I like her taste of books, so you should check Natalia's blog! I'm still so glad that I found out about Mimi's blog. Her reviews are great and she is SO sweet! Her comments always make me smile :D And I adore her enthusiasm in her well-written reviews. It really makes me want to read a book even more than before. But what I do like is that she can write honest reviews without being harsh. I don't like it when people burn a book to the ground; if it's not your taste, that doesn't mean everybody hates it. So Mimi is doing a great job. This lucky girl lives in Spain, how amazing. I'm really going to visit that country some day. She has this really nice meme called Monday morning news. I like the things she always shares, so I'm always up to date because of her. Her reviews are straight to the point, something I admire, since I tend to ramble a lot. They are well-written and I love her blog design! It's super cute. So, these are five of my favourite blogs. I would love to take a look at yours, so don't forget to leave your link! Sort: Part one of Paranormalcy. Weird as it is working for the International Paranormal Containment Agency, Evie’s always thought of herself as normal. Sure, her best friend is a mermaid, her ex-boyfriend is a faerie, she's falling for a shape-shifter, and she's the only person who can see through paranormals' glamours, but still. Normal. 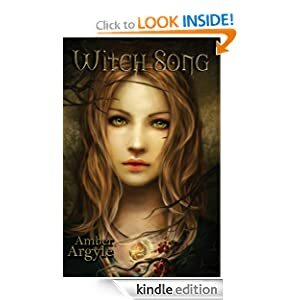 Only now paranormals are dying, and Evie's dreams are filled with haunting voices and mysterious prophecies. 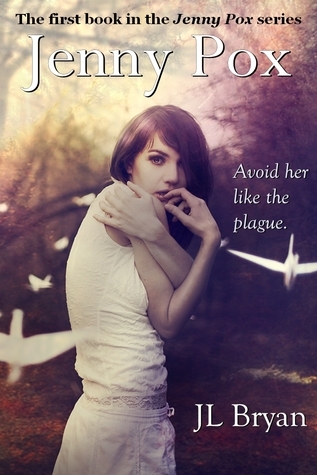 She soon realizes that there may be a link between her abilities and the sudden rash of deaths. Not only that, but she may very well be at the center of a dark faerie prophecy promising destruction to all paranormal creatures. So much for normal. This book made me laugh a couple of times, because it was so funny. Instead of swearing, Evie says 'bleep' That's because her best friend is a mermaid and her words are translated by a computer who only says 'bleep' if Lish swears. Sometimes it was a bit too immature for me. Like all the pink and glittery stuff, but on the other hand, it made her a real teenager. She's a kickass, tough girl who is funny, sweet and hard at the same time. She's someone who not only can see the real person behind the glamour outside, but she's also very good at seeing the truth. Just like the fact she decides to trust Lend, a boy made out of water. Or the fact that she doesn't trust faeries. I like the fact that the faeries are so different in this book: they are scary! Evie finally has the normal life she’s always longed for. But she’s shocked to discover that being ordinary can be . . . kind of boring. Just when Evie starts to long for her days at the International Paranormal Containment Agency, she’s given a chance to work for them again. Desperate for a break from all the normalcy, she agrees. But as one disastrous mission leads to another, Evie starts to wonder if she made the right choice. And when Evie’s faerie ex-boyfriend Reth appears with devastating revelations about her past, she discovers that there’s a battle brewing between the faerie courts that could throw the whole supernatural world into chaos. The prize in question? Evie herself. Again a quick and fun read. I think I enjoyed this book more than the first one, because there were so many things going on. Evie is finally leading her 'normal' life (especially because the agency thinks she died), but she's not really satisfied. She wants more. So when she's contacted to get some missions, she makes up her mind and decides to do it. That gives some tension between her and Lend; he hates the agency for what they did to him an all the other people. But things have changed. They're hunting the bad guys now. They even stopped using fairies all the time, because there's Jack. He grew up in the fairy world and he has trained himself to use the same doors as the fairies do. But.. he keeps showing up and it gives Evie a hard time. Her relationship with Lend is really on the edge and when they fight, everything comes out and she leaves with Jack. Things are not going as planned..
Evie is more mature (even though she's still into pink, a color I actually quite dislike) and she really stands up for herself. And I like Arianne, the depressed and funny vampire. I can’t wait for the next book. 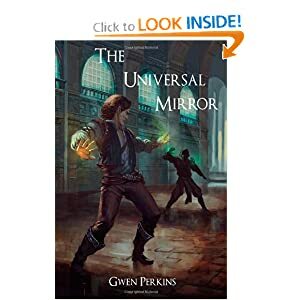 Gwen Perkins - The universal mirror. Review 40. Carrie Ryan - The forest of hands and teeth. 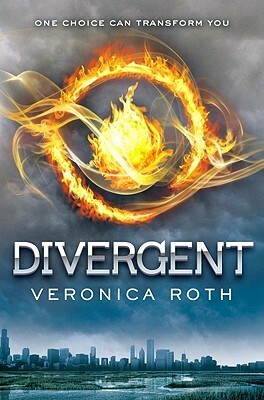 I re-read this book, because I bought the third and last book about a week ago. I want to refresh my memory. I still loved it, maybe even more than the first time! There is so much tension and action in this book, but we also get to meet romance and friendship. Mary has to leave the safety of her village and is plunged into a world filled with Unconsecrated. She has to leave The forest of hands and teeth. Is there somewhere a place to start a new life? I just LOVE this book. If you haven't read it, go and do it! What are you waiting for? This book has everything you possibly can ask for. Mary is a wonderful character and the story never gets boring. There are so many things going on without overwhelming you. The ending is perfect: everything seems to fall together, but you still want to read the next one. Finding out how this story will continue.